On May 8, President Donald J. Trump reimposed the full range of economic sanctions on Iran that were waived when the Iran nuclear deal (Joint Comprehensive Plan of Action) was implemented in 2015 and said the United States was “withdrawing” from the agreement. Does Trump’s decision to reimpose sanctions irrevocably doom the deal, or will the other signatories find a way to keep it going without Washington? What sort of agreement might the European powers and Iran craft to salvage the JCPOA despite the U.S. withdrawal and what would the implications be for the Gulf region? What is the Trump administration’s Plan B for dealing with Iran; what are its chances of success; and how will the international community, especially the Gulf Arab countries, respond? 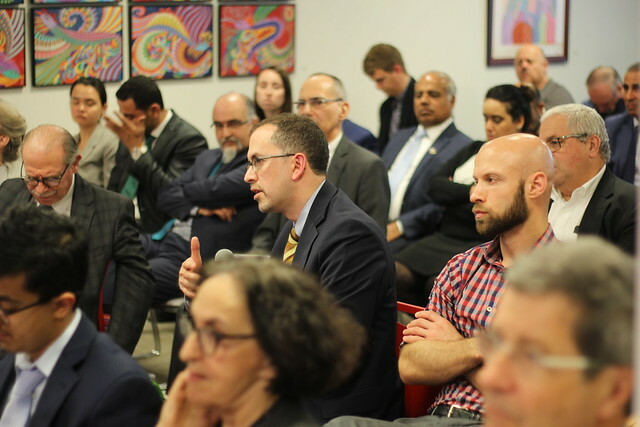 AGSIW was pleased to host an in-depth conversation on these crucial and rapidly developing new realities.